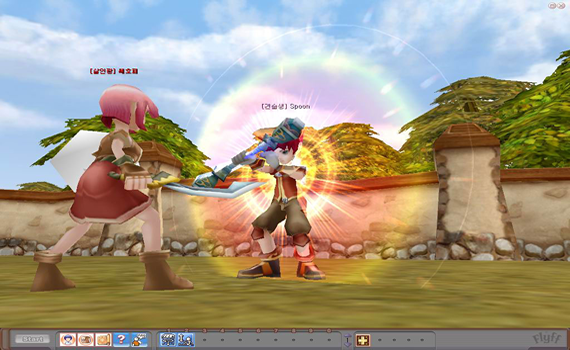 FlyFF is a fantasy MMORPG by Aeonsoft. It is hosted in 13 countries, in 10 different languages and claims to have over 5 million members (believable since it is free). Players control an avatar where you can choose it’s class at level 15 and sub-classes at level 60. At level 120, the avatar can become a Master. This means that you can choose to return to level 60 with enhanced powers and to work your way back up to level 121 and become a Hero. This way experience is gained and equipment is acquired is basically the same as almost every mmorpg. You kill creatures to gain experience and collect items when they drop. You should definitely give FlyFF a try if you love WoW, Diablo II, Maplestory, etc. Besides, it is free so why not? If you are bored of your current MMORPG games, definitely give FlyFF a try. For more consumer reviews, visit our homepage.